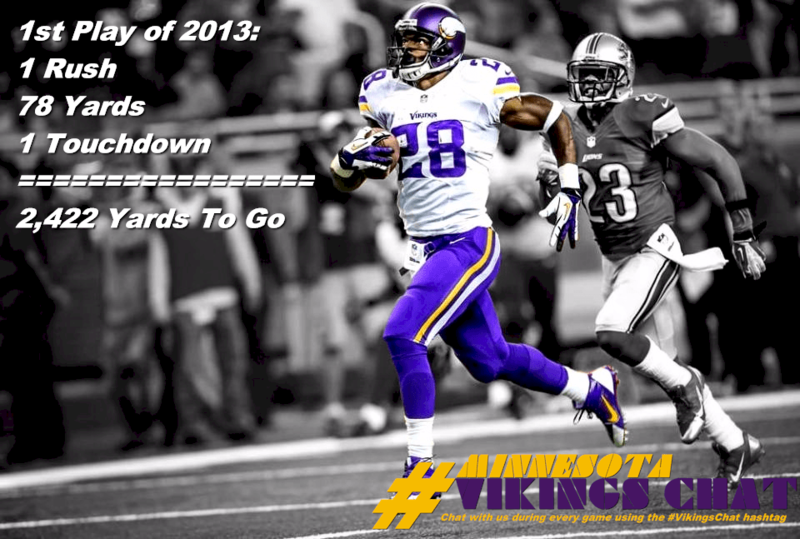 Adrian Peterson‘s first touch of the 2013 season went for 78 yards and a touchdown. How many more yards does he have to gain to reach 2500? Post by Minnesota Vikings Chat.